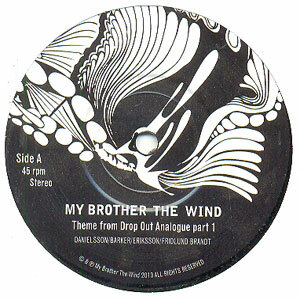 2011 welcomes the studio return of My Brother the Wind with their second album "I Wash My Soul in the Stream of Infinity", a triumph in majestic, psychedelic space rock. Recorded in 4 hours on an Ampex MM 1000 16K by Love Tholin at Drop Out Analogue Studio in Åmål during the cold Swedish winter's night of January 22nd and mixed by the band on January 23rd, the album boasts 6 improvised tracks of exquisite beauty, including a tribute song to the late, great Torbjörn Abelli of Swedish influential prog band Träd, Gräs och Stenar. 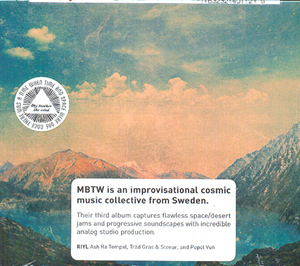 With the focus less on guitar solos and more on group virtuosity, the instrumentation is altered to create interesting and intricately layered soundscapes, distinguishing it from the first album in more ways than one, and channelling the true spirit and sound of the free and innovative 70's, when the soul of experimentation was king and warmth of sound his queen. Starting with the pulsating, driving "Fire! Fire!" and ending with the meanderingly wistful title track, this album offers something for everyone, incorporating every mood and managing to bridge the new and exciting with the comforting familiarity of the past without a hint of cliché, and is already being hailed by leading ressive/psychedelic rock sites as one of the most important releases of 2011. Line-up / Musicians: Nicklas Barker - Electric guitar, Acoustic 12 string guitar, Mellotron Mathias Danielsson - lectric guitar & Electric sitar Ronny Eriksson - Bass & Hammond organ Tomas Eriksson - Drums.